Check back soon for special events! Hilltop offers Open House Special Events several times each year. These complementary educational offerings are designed for the home buyer in the initial stages of considering a log or timber home. The beginning or information gathering phase of your project can be overwhelming. The Hilltop Home Client Advisor guides you through a wide variety of design choices and explains the differences in available construction methods. A large pool of photos, renderings and materials are at your disposal to help you make the best informed choices for your unique needs. There is an explanation of available turnkey services such as locating lenders, builders, realtors and home product specialists. 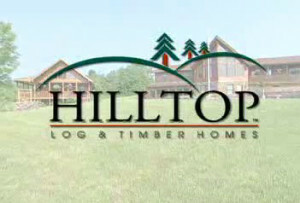 The Event includes a tour of Hilltop Log & Timber Home’s Model Home and Production Facility . Please join us for the next event listed above. The Hilltop Home Open House Special Event is an excellent opportunity to explore the possibilities!